Fight dark circles with SkinMedica TNS Illuminating Eye Cream. SkinMedica TNS Illuminating Eye Cream nourishes and strengthens the delicate eye area for a more youthful appearance. Growth factors, peptides and other anti-aging ingredients help repair mature skin, creating a smoother texture and a more even tone. This lightweight eye cream also hydrates to plump skin and smooth crow’s feet. You’ll see a visible improvement in the appearance of fine lines, wrinkles, dark circles, uneven tone and rough texture with regular use of this eye treatment. Brighten dark circles and rejuvenate the eye area with SkinMedica TNS Illuminating Eye Cream. SkinMedica TNS Eye Illuminating Cream won a Martha Stewart Weddings Big Day Beauty Award 2013. Tell us your thoughts about SkinMedica TNS Illuminating Eye Cream and receive 50 rewards points! My derm recommended this to me over a year ago, and I have been using it ever since. It is lightweight and a little goes a long way. The only reason I am giving it 4 stars is that in the cold Pennsylvania winters, I need to add a thicker eye cream on top of this to stay full moisturized. Easy to apply. It minimizes my fine lines. Hooray a SkinMedica with a pump! I wish all products came in airless pumps. So much easier and less messy. This goes on nice and light, but it's not as potent as the TNS eye cream. I do see the illuminating effect and wear this over my eye serum during the day. It's a soft focus that does not appear too dewy or luminous. Great product. I've used this product for several years and can really see the difference in my appearance. My friends can too, so I've let them in on my "little secret." 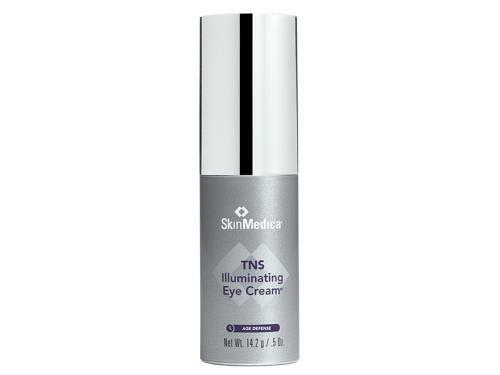 I recommend SkinMedica TNS Illuminating Eye Cream. You won't regret trying it! 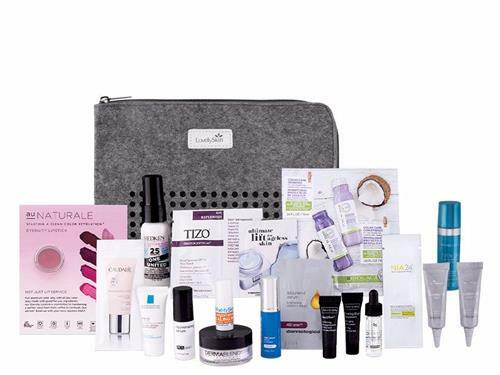 SkinMedica products are always hard to beat! I like this eye cream. I alternate this and the TNS Eye Repair. Absorbs quickly and hydrates well, leaving eye area plumper. You need only a small amount. I love that this isn't too thick and absorbs quickly! And, a little is all you need. Really like how it feels and seems to help brighten up my dark circles. 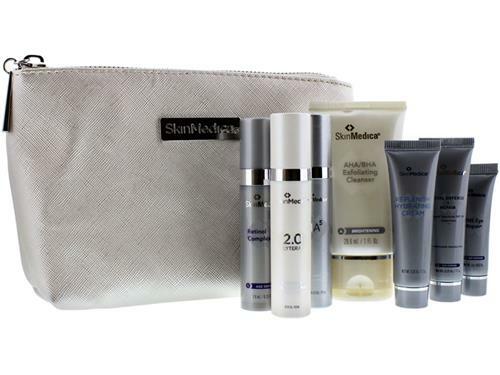 I have been using the SkinMedica products for a few years now and I love them. Every time I try something new, I always wind up coming back to SkinMedica. The illuminating eye cream is great. Light, non-irritating and very effective. I definitely notice a difference when I skip a few days, so it really does work. I love this product. I can tell a difference in the brightness of my skin under my eyes after using for just one week. I've been using SkinMedica TNS Eye Serum for several months and decided to add the Illuminating Eye Cream to my routine recently. I love this product. It is light and creamy and I use it over my serum after waiting a few minutes for the serum to settle in. I have seen excellent results, the wrinkles at the corners of my eyes have practically disappeared, I will continue using these two products. I love SkinMedica & use many of their products, but this was the first time to use the Illuminating Eye Cream. I cannot use it in the morning because it's too thick. Usually put on makeup about 30 minutes after I moisturize, but when I put on eye concealer. It globs up with the eye cream. It doesn't do that if I use a different eye moisturizer. Also, its started to burn a bit when I put it on. Not badly, but I don't think eye cream should burn. Light and goes perfect under my concealer! I love SkinMedica TNS Illuminating Eye Cream and have been using it for years. It de-puffs my under eyes. I notice smooth under eyes, softer & less age lines. I use it (2) times daily. It's my go-to eye product. After using this SkinMedica TNS Illuminating Eye Cream for several months, I have less noticeable dark circles and my eye area is brighter. I use this every morning. Expensive, but it has been worth it. Another great product of SkinMedica. I have been using their serum, retinol 1.0 and face wash for a year now and love all of them. This eye cream is great for my sensitive eyes. Highly recommend it. I have been using this product for several years! It does wonders!